ProTech Data will ensure proper firewall setup to make it much harder for hackers to get to your computers and servers. Update your software programs and operating systems regularly to protect against known security vulnerabilities and update your software programs and operating systems regularly to protect against known security vulnerabilities. Before contacting the service provider, find the right business for your IT support. Here are 5 tips that will help you get the most out of your IT provider. Small businesses are naturally resource constrained, so they always have to make decisions with budgets in mind. However, when choosing an IT service provider, they often make the decision of which service provider to work with based on price, when they should make it based on Total Cost of Ownership. Most IT service providers don't have the resources to provide services that adequately address these issues on behalf of their small business clients so they try to compensate by marketing their services based on price. While the small business may save some money in the short term, they ultimately pay a high price in employee frustration, lost productivity, and technology purchases that aren't the best fit for their business. 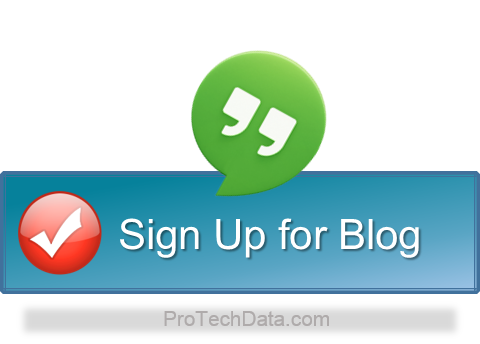 ProTech Data is your comprehensive IT support solution for everyday business functionality. Whether you're starting a new company and need to decide on what technology to incorporate, or need to expand your existing department, we have the support solutions you're looking for. We feel that quality service and as lasting client relationship are the most important components of our business, and it shows in our results. Cloud Computing for Small Business? Outsourcing your managed IT services can also help you to increase productivity and profitability, allowing you to focus on the day to day task of growing your business. ProTech Data Managed IT Services provides computer networking support, IT consulting, tech support and all of the services you need to effectively optimize and protect your network. VoIP (Voice over Internet Protocol) is an IP telephony term for a set of facilities used to manage the delivery of voice information over the Internet. VoIP involves sending voice information in digital form rather than by using the traditional circuit-committed protocols of the public switched telephone network (PSTN). One advantage of VoIP is that the telephone calls over the Internet do not incur a surcharge beyond what the user is paying for Internet access. Use strong passwords on servers and the network. In addition, instruct employees never to share passwords and to use strong password and enforce password complexity policies. Secure your laptops with data encryption, so that the information on the hard drive can only be accessed with the correct password. This provides two levels of protection: it secures the data on your laptop and it prevents a hacker from gaining access to your network from a stolen laptop. You must use data encryption to provide data confidentiality for the data that is sent between the VPN client and the VPN server across a shared or public networks and ever using WiFi.